The World Federation of Music Therapy (WFMT) is an international nonprofit organisation bringing together music therapy associations and individuals interested in developing and promoting music therapy globally through the exchange of information, collaboration among professionals, and actions. Founded in 1985 in Genoa, Italy, it is the only worldwide professional organisation representing music therapy in many areas of the world. The members of the Federation are music therapy organisations, training programs, certified music therapists, music therapy students, and individuals associated with music therapy. WFMT is an international body, with officers, commissioners, and regional liaisons in all regions of the world. 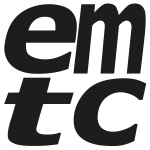 The European Music Therapy Confederation: this site is about the most compact site we found for you. It contains all the European music therapy organisations or any institutes offering study programs on the subject. You can search among the members by country, which have all the history on their country’s music therapy history, whether their country is ahead of the game in dealing with this issue, or is still behind. They would also have all the contact details, websites, links you need to further access who you wish to and the site also has an option to search within the organisations themselves. The site is full of must-reads for those working or wishing to work in this field.